Great stories should be shared. 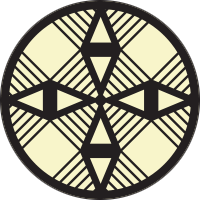 Electric South is committed to connecting audiences to our supported artists’ work; showcasing African perspectives on the global stage; and sparking ideas in future African creators. As the content distribution landscape evolves, we are developing business models for digital non-fiction stories, with sustainability for artists and inclusive access in mind. Our supported New Dimensions projects have screened at over 50 international film festivals and events, including Tribeca (New York, USA), Berlinale (Germany), World VR Forum Festival (Geneva, Switzerland), Sydney International Film Festival (Australia), Festival Ars Electronica (Linz, Austria), and the Seattle International Film Festival (USA). Our slate is now available for licensing. Projects have screened at venues including the Modern Art Museum Shanghai (China), the Natural History Museum of Le Havre (France), Zeppelin Museum (Friedrichshafen, Germany), and the TMRW Gallery (Johannesburg, South Africa). 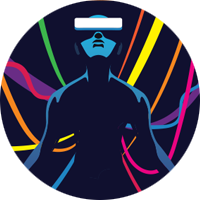 To expand the distribution network in Africa and give local audiences access to content, Electric South partners with events and institutions to organize new VR screening opportunities. A third of our screenings have been on the African continent, with generous support from the Goethe-Institut South Africa. Electric South curated an exhibition of interactive and Virtual Reality work for the Encounters South African International Documentary Festival in June, 2016 called Virtual Encounters. Electric South supported Selly Raby Kane in her Elsewhen exhibition in Dakar, Senegal, May 2016. 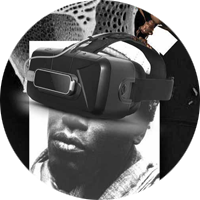 We created a VR exhibition, New Dimensions, as part of African Futures in Johannesburg in October, 2015. We showed thirteen projects on Samsung Gear VR, Oculus DK2 and Google Cardboard and gave away 400 Google Cardboards to all attendees.